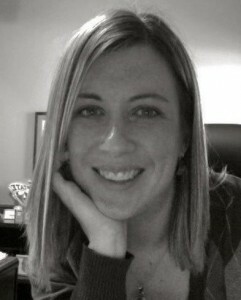 Guest post by Kristin Magette, Communications Director at Eudora School District in Eudora, Kansas. Originally posted at socs.net and re-posted with their kind permission. 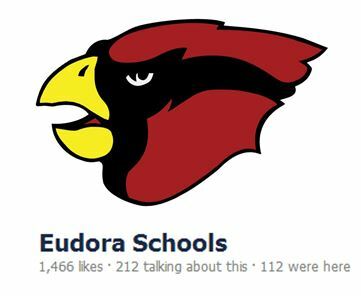 Disclosure: Eudora School District is a Social: IRL client. Facebook, Twitter, YouTube. At school, they make us nervous. We hear stories about teachers losing their jobs and students losing their innocence. We see the nasty rumors and insults that can flourish online. So if we clamp down and keep social media out of our schools, we’ll be good. Right? We live in the digital world. And when students and parents enter our schools, they don’t check their lives at the door. Whether it’s young children watching online videos to laugh and learn, adolescents navigating friendships, or parents looking for updates on a lock-down, they’re using social media. But for those of us who work to mentor, encourage, and protect children – and keep peace in the community – the digital world can feel overwhelming, even dangerous. Using social media, video and blogs as teaching tools. Helping students learn safe and courteous online behavior. Communicating with parents through the real-time, content-rich exchange that social media provides. Encouraging others to engage with us – to celebrate our successes, grieve our losses, and sometimes even challenge us to do better. In late 2011, we began to look at social media as an exciting opportunity to be embraced by our district – and more than a year later, we haven’t looked back. Of course, we’ve had hurdles to clear along the way. We needed real changes to our Internet filters to give teachers (and some students) access to Facebook, Twitter and the like. We needed board policy that outlined our expectations for staff and students. We needed training for our teachers to understand the great potential that exists in the digital world. And we needed procedures that employees would follow to ensure accountability and responsible use. We worked through those challenges last year and through the summer, and our teachers have embraced our digital-friendly school district, much to the delight of our students and parents. A good place to get a taste of how we’re using social media right now - it’s always changing! – is the social media directory on our district website. This is where parents and fans can find us in the social media world, including some pages that are open to the public and others that are restricted to certain members. By far, the liveliest place you’ll find us is on our district’s Facebook Page. While there have been some difficult moments on our page, the support we receive is overwhelming — and our Facebook community truly has become a place of celebration, sharing and connecting. Two-way communication isn’t always comfortable — anyone who’s lived with teenagers or run a town hall meeting knows that! – but it ultimately creates greater trust, transparency and support. Our teachers and students have produced more YouTube videos this year than ever before, both for learning and fun. Teachers are finding outstanding networking opportunities through Twitter chats. Our elementary school teachers who use Facebook for work say that communication with parents has never been better. Our high school students have embraced Twitter to share the good news from their school and connect with teachers. Sure, it takes monitoring, and it requires a level head to handle the negative comment that pops up now and then. But the increased engagement and support are more than worth it. There are risks and rewards, but if we can manage the risks, the rewards are far greater and worth the trouble. Professional development, policy and procedures help us manage the risk. And the rewards are improved parent communication, enriched student learning, increased community involvement, and powerful professional networking for teachers. It’s hard to argue with that! Really cool to hear about schools adopting the vast potential of social media! I’m sure it takes some serious monitoring, but I love the quote about the rewards outweighing the risks. Social media isn’t going anywhere, so if we can teach young kids how to use it increase their knowledge and do so appropriately, it will really help everyone to see the potential! Thanks for the comment! You’d probably be surprised as to how manageable the monitoring really is. We’ve found that professionals (teachers, principals, secretaries, etc.) with proper training are highly effective and care deeply about representing their school well. They’re also quick to ask for advice if a sticky situation comes up. We’ve had our share of difficult moments over the past two years, but overall it’s been remarkably smooth. Guest post by Kristin Magette, Communications Director at Eudora School District in Eudora, Kansas.